Play for the Top Jackpots from Down Under! You don't have to travel down under to play and win in Australia's top jackpot draws. No matter where you live, you can get in to win a share of AU$14,500,000.00 each week in the Australian Lottery through ILS! The Australian Saturday Lotto is played all over Australia and is known by different names, depending on the state in which it is played. It's popularly known as Tattslotto in ACT, Tasmania and Victoria; Gold Lotto in Queensland; Saturday Lotto in Western Australia and South Wales; and X Lotto in South Australia. Whatever the name, however, the game is the same — easy to play, with prizes ranging from $4 Million to over $40 Million! To play Australian Lotto, simply select six distinct numbers from 1-45. Match all 6 numbers drawn, and you win the Jackpot! Even when you don't hit the jackpot in Australian Lotto, you still stand to win from any of the other five prize divisions. All prizes are tax-free and paid out in a single lump sum. Try for one now! Australian Lotto has the best winning odds of all pick six games in the world. According to an article Lottery Can Be Predicted According To Math published at Lifetickler, you can increase your chances of winning the Australian Lottery if you play the pattern with more likelihood of winning. 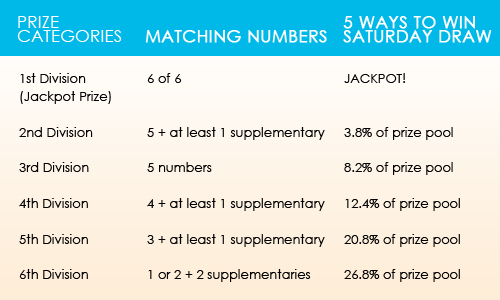 Every week, 5% of the prize money in the Australian Saturday Lotto is held in reserve and kept in a special fund. This reserve fund is used to build up a special prize pool for seasonal SUPERDRAWS held 6-7 times a year. Superdraw jackpots typically start at $20-$21 Million but can go higher, especially at the end of the year. Play Europe's most popular lotteries now for a chance to win Multimillion Euro Jackpots from anywhere in the world! 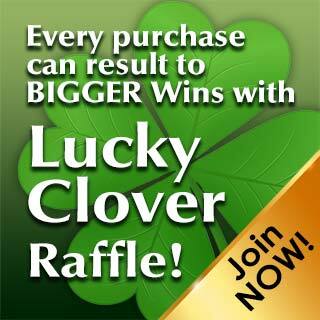 All prize winnings are paid out in full, free of European government taxes, and in one lump sum!